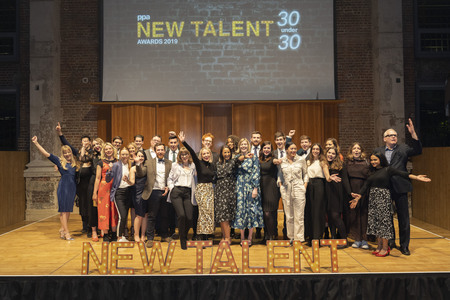 London, April 1, 2019 – Data Economy’s founder and editor-in-chief João Marques Lima has been awarded the PPA 30 Under 30 New Talent media award for his work at Data Economy, the leading source for business and finance news and opinion within the IT infrastructure sector. BroadGroup is an Information Media Technology and Professional Services company providing a value chain of content research, publications including the industry leading print and online data-economy.com, and innovative conference brands focused on datacentre, cloud, Edge and IT infrastructure and investment and a member company of FTSE 250 firm Euromoney Institutional Investor PLC whose leading brands include Capacity, Metro Connect, Subsea Connect and the annual ITW held in Chicago. In the US, Euromoney owns TTI Vanguard and IMN events businesses. More information here. This press release was distributed by ResponseSource Press Release Wire on behalf of Data Economy in the following categories: Consumer Technology, Business & Finance, Media & Marketing, Public Sector, Third Sector & Legal, Manufacturing, Engineering & Energy, Computing & Telecoms, Construction & Property, for more information visit https://pressreleasewire.responsesource.com/about.